While GM reengages to get the social-media lead back from Ford with a team of bloggers from its new agency, Big Fuel, a host of media representatives and reporters will be on hand to witness first hand all the 2011 NAIAS news events. They, too, will use social media venues like Twitter and Facebook as never before in auto show history. According to a post-Christmas article at freep.com the Detroit Free Press on-line, the mandate for Big Fuel to revolutionize GM's own social-media bay starting efforts by Jan. 1 says it all. For the record, Big Fuel plans 110 full-time staffers in Detroit and New York. The agency's work will include managing all of GM's Facebook pages, but has already launched its own programs for Buick, with Chevrolet right behind in early January. Proof that it’s in play is that this publication already received notice on Twitter to see Buick at the show by writing, “Will we see you at the show? If not- be sure to check us out as we stream the reveal live.” They also supplied a link to Facebook. It’s easy to assume that major corporations are fully up on social media, but truth is, they’re just beginning. The old thinking has to be replaced by a new paradigm, where attention span to get your message across is extremely short. For the record, this publication will have three reporters at the Detroit Auto Show, not only reporting live, but also tweeting live every important details. 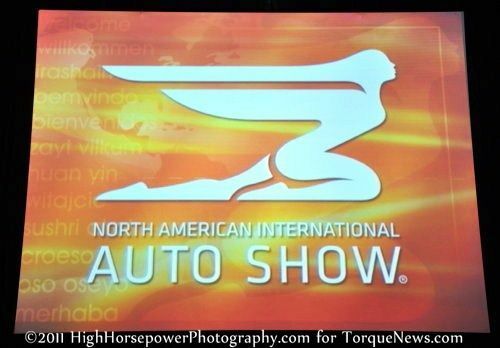 Follow TorqueNews on Twitter using @Torquenewsauto to get the latest from NAIAS 2011.